A NEW SUGAR FREE SENSATION…. Our latest innovation! 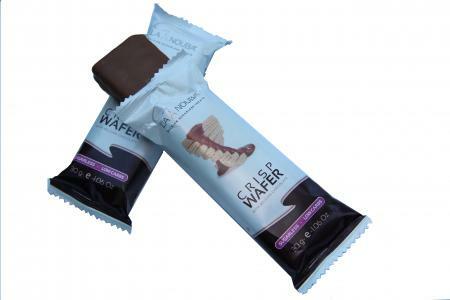 The perfect mariage between a Belgian wafer filled with a creamy vanilla flavor and covered with Belgian milk chocolate. The taste has been enhanced to give your tastebuds an even greater experience without adding extra sugars or carbs!